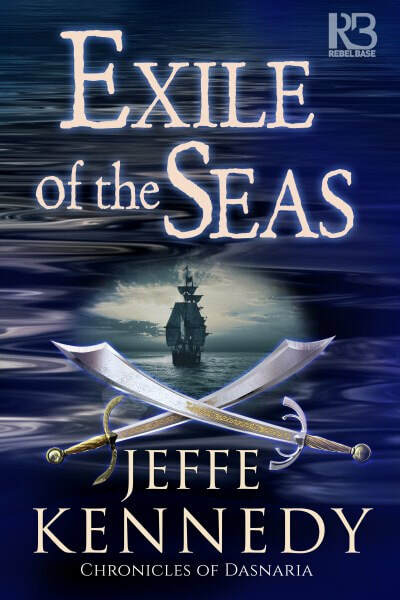 Exciting New Dark Fantasy: Exile of the Seas – Chronicles of Dasnaria Book 2 by Award Winning Author Jeffe Kennedy – Guest Post, Excerpt & Giveaway Inside!! married her off to almost killed her with his brutality. allow her to keep her silence. flight will end in battle—or betrayal . . . I grew up in paradise. Tropically warm, lushly beautiful, replete with luxury, my childhood world was without flaw. My least whim was met with immediate indulgence, served instantly and with smiles of delight. I swam in crystal clear waters, then napped on silk. I chased gorgeously ornamental fish and birds, and enjoyed dozens of perfectly behaved pets of unusual coloring and pedigrees. My siblings and I spent our days in play, nothing ever asked or expected of us. Until the day everything was demanded—and taken—from me. Only then did I finally see our paradise for what it was, how deliberately designed to mold and shape us. A breeding ground for luxurious accessories. To create a work of art, you grow her in an environment of elegance and beauty. To make her soft and lusciously accommodating, you surround her with delicacies and everything delightful. And you don’t educate her in anything but being pleasing. Education leads to critical thinking, not a desirable trait in a princess of Dasnaria, thus I was protected from anything that might taint the virginity of my mind, as well as my body. Because I’d understood so little of the world outside, when my time came to be plucked from the garden, when the snip of the shears severed me from all I’d known, the injury came as a shock so devastating that I had no ability to even understand what it meant, much less summon the will to resist and overcome. Which, I’ve also come to realize over time, was also a part of the deliberate design. But I’m getting ahead of myself. Let me go back to the beginning. And it was all you’d imagine paradise to be. A soft palace of lagoons and lush gardens, of silk bowers and laughter. With little else to do, our mothers and the other ladies played with us, games both simple and extravagantly layered. When we tired, we napped on the velvet soft grass of the banks of the pools, or on the silk pillows scattered everywhere. We’d sleep until we awoke, eat the tidbits served us by watchful servant girls, then play more. Hestar and I had our own secret games and language. All the ladies called us the royal pair, as we were the emperor’s firstborns and we’d been born less than a month apart. My mother, first wife, the Empress Hulda, and the most highly ranked woman in the empire, spent much of her day at court. When she was home in the seraglio, she preferred to relax without noisy children to bother her. Hestar’s mother, Jilliya, was second wife and kept getting pregnant, forever having and sometimes losing the babies. So, by unspoken agreement, we kept clear of her apartments, too. Something else I understood much later, that the miasma of misery has its own brand of contagion—and that those who fear contracting the deadly disease stay far away. second-borns, also arriving in the same month, to my mother and Saira. Less than a year younger than Hestar and me, they completed our set of four. Our six other brothers and sisters played with us, too, but they were babies still, needing to be watched all the time. Whenever we could, the four of us ditched the babies, exploring the far corners of our world, then making hideouts where no one could find us. Though, of course, when the least desire took our fancy, someone always appeared instantaneously to satisfy us. Another of the many illusions of my childhood. Hestar and I, we had a cave we’d made under a clump of ferns. He’d stocked it with a box of sweetmeats and I’d stolen one of my mother’s silk throws for a carpet. Embroidered with fabulous animals, it told tales of a world beyond our corner of paradise. We loved it best of all our purloined treasures, and made up stories about the scenes and creatures, giving them names and convoluted histories. One day—the kind that stands out with crystalline clarity, each detail incised in my memory—we played as usual. Hestar had been mysteriously gone for a while the day before, or perhaps several days before or for several days in a row. That part fogs in with the timelessness of those days that never ended, but blended one into the next. What I remember is the elephant. “It’s called an elephant,” Hestar interrupted me. Hestar beamed with pride at knowing something I didn’t. “Is that where you went?” Hestar and Kral had been whisked off by servants, and no one would tell me or Inga where they were, just that we’d see them again soon. We pulled the silk throw over our heads to make a tent. It was the usual grass beneath, so we didn’t really need the carpet. Having it just made our hideaway more special—and the throw became a blanket, excellent for exchanging secrets. “We went through the doors!” Hestar told me, whispering but much too loudly. I hushed him. I didn’t question how I knew, but this secret held power. Most of our secrets had been silly, frivolous things, like how Inga kept candied dates under her pillow. Or ones everyone already knew, like that Jilliya was pregnant again. With the unabashed enthusiasm of children, we absorbed all the murmured gossip and repeated it with equal relish. This, though—I recognized immediately how important it was. No wonder no one would tell us where they’d gone. Children didn’t go through the doors. Only my mother and some of the women. The rekjabrel and other servants, they went in and out all the time. But a lot of times they came back crying or hurt, so we understood the doors led to a terrible place. And yet Hestar had gone and returned, beaming. I couldn’t bring myself to ask what a library might be. I wanted to look at pictures and learn animal names. Though I didn’t know the emotion to name it at the time, a jab of envy lanced through my heart. Hestar and I always had everything the same, only I had the better mother, because she was first wife. It wasn’t fair that Hestar got to go through the doors and learn things without me. An elephant. I whispered the exotic word to myself. For the rest of the day we played emperor and empress. Kral and Inga got mad and decided they would be emperor and empress, too, not listening when we said there could only be one of each and we were firstborn so they had to be our servants. They went off to play their own game, but we got Helva to be in our court, and also her little brothers, Leo and Loke. The boys were identical twins and liked any game they could play together. Baby Harlan could barely toddle, so he stayed with his nurse. Ban went off with Inga, of course, as he followed her everywhere, but her full brother, Mykal came to our side. We didn’t care, because our court was the biggest. Besides, everyone knew the emperor gets to pick his own empress, and Hestar already promised me I’d be first wife and I could pick his other wives, just like Mother did. Which meant Inga wouldn’t get to be one. Maybe not Helva, either, though I told her she would be. Mother didn’t much care for Saira and Jilliya, so maybe I wouldn’t have other wives at all. I didn’t need them to be empress. Playing emperor and empress turned out to be terribly fun. Hestar made me a crown of orchids and we took over one of the small eating salons, getting the servants to clear out the table and pillows, instead setting up two big chairs to be our thrones. His Imperial Majesty Emperor Einarr Konyngrr, our father, had a throne. So we’d heard. And we badgered one of the rekjabrel who’d served in the court to tell us what it looked like. “Huge, Your Imperial Highnesses,” she said, keeping her eyes averted. “What about the Empress’s throne?” I persisted. “We don’t have platinum anyway,” he replied. So we decorated the two big chairs, which ended up taking a long time. They needed to be sparkling, which meant we needed jewels. Leo and Loke were good at persuading bangles off the ladies, but then didn’t like to give them up. By the time we chased them down and got everything decorated, we had only a little time to have actual court. When my nurse, Kaia, came to get me for my bath, we made all the servants promise to leave everything as it was. “Kaia?” I asked, splashing at the warmed milk water as she poured the jasmine rinse through my hair. Kaia dropped the pitcher of jasmine water, breaking it on the tiles. I would have scolded her for clumsiness, but she had such an odd look on her face that I stopped mid-word. “Where have you heard of such a thing, Princess?” She had her head bowed, but with her scalp shorn, she couldn’t hide her face. She’d gone white, her eyes squinched up like she hurt. Just like that time Mother accused her of drinking from her special teapot, and had Kaia lashed until she confessed. Kaia had cried and cried, not wanting to play with me for days afterward. But this time she didn’t have any blood, so I didn’t understand why she went all pale like that. She dried me off, too briskly, and I almost reprimanded her, but she still looked so scared and I didn’t want her to not play with me for days again. “I already said goodnight to Mother.” Mother didn’t like to be disturbed after goodnights, and the prospect began to make me a little afraid, too. Kaia wrapped my hair in a towel, then rubbed me all over with jasmine scented unguent. She worked as thoroughly as always, but wouldn’t answer any more questions, simply saying that I could ask my mother momentarily. She pulled my nightgown over my head and had me put on a robe, too, which wasn’t usual. And we went with my hair still damp, not carefully combed dry before the fire while she told me stories. I didn’t want to miss my stories and I began to be afraid I’d said something terribly wrong. I’d known this was an important secret. How could I have been so careless? It was the elephant. “Let’s not go see Mother,” I said. Still, when Kaia called out through the closed yellow silk curtains, and my mother snapped out a reply, I nearly did cry. And Kaia didn’t relent in her grip, which made me think she was angry with me and Kaia was never angry, even when I refused to eat my supper and demanded dessert instead. She parted the curtains and slipped me inside, kneeling beside me and bowing her head to the plush tapestried carpet. I lowered my eyes, too, though I didn’t have to kneel. Kaia had gone silent, quaking on the carpet beside me. No help at all. I considered lying, saying Kaia had made it up. But Mother wouldn’t believe that. Kaia would never so recklessly attract punishment. I happened to know she hadn’t snuck the tea—one of the rekjabrel had taken it for her sister, but Kaia had never said. I did, feeling defiant, for no good reason. Mother reclined on her pillows, her embroidered silk gown a river of blues over their ruby reds. Her unbound hair flowed over it all, a pale blond almost ivory, like mine. In contrast, her eyes looked black as ebony, darker even than the artful shadows outlining them. She’d removed most of her jewelry, wearing only the wedding bracelets that never came off. She held her glass pipe in her jeweled nails. The scarlet of her lip paint left a waxy mark on the end of it, scented smoke coiling from the bowl. “I didn’t say anything!” I answered. Kaia let out this noise, like the one Inga’s kitten had made when Ban kicked it. The ladies had taken it to a better home and Inga had cried for days until they gave her five new kittens just like it. “I only asked about the elephants,” I said, very quietly. “Excuse me?” The arch of her darkened brows perfectly echoed her tone. physical ache. Something extraordinary for a girl who’d rarely experienced pain of any sort. the blood flowing from my finger, I’d barely registered that I’d been hurt before the servants descended, wrapping the wound in bandages soaked in sweet smelling salve that took sensation away. They also took the lizard away and wouldn’t give it back, despite my demands and pleas. When the salve wore off, my finger throbbed. And when they took the bandages off, the skin around the bite had turned a fascinating purple and gray. They tried to keep me from looking, but I caught glimpses before they made it numb again, then wrapped it up and I couldn’t see it anymore. I’d tap my finger against things, trying to feel it again. My finger and the lizard, both gone. I felt like that, full of purple bruising and soft pain, as if I’d been bitten inside, and somehow numb on the outside. I wondered what might disappear this time. “Elephants,” my mother pronounced the word softly, almost in wonder. limited life . . .
promises will take Jenna from ornament to queen. 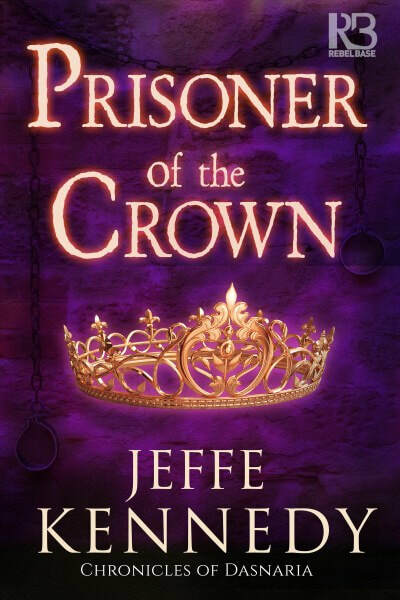 Writing PRISONER OF THE CROWN was an interesting foray into history for me. See, this book is the first in a trilogy that’s a spinoff from the world established in my Twelve Kingdoms and Uncharted Realms series. The Empire of Dasnaria, where PRISONER takes place, is a foreign – and aggressive – realm encountered by the people of the Twelve Kingdoms. And Dasnaria is a very different culture where women do not have the same rights and freedoms that they do in the twelve. Part of that came from wanting a foil to my assertive and powerful High Queen of the Twelve Kingdoms, and the other part came from me being aware of the political and cultural situation in our modern world. I wanted to better understand how women can be happy raised in a culture where they’re kept “under wraps” in one way or another, where men decide their lives and provide escorts everywhere. Dasnaria became that place in my fictional world. With PRISONER, I got to write that story from the inside, through the character of Imperial Princess Jenna, born in the seraglio of the Imperial Palace of Dasnaria. She’s spent her entire life there, surrounded by women and given a carefully crafted education. So, while I knew the societal rules of Dasnaria from my people of the Twelve Kingdoms learning about them, Jenna was my first opportunity to be in the head of a woman who grew up inside that culture, who knows those rules as immutable. This proved to be a challenge, because the cloistered world of the seraglio is all Jenna knows to begin with. It’s not until she leaves the seraglio to be married that she begins to seriously question whether she could have another life. At first, she utterly believes that men are smarter and stronger, that only through her husband and sons – and manipulating her daughters the same way she’s been groomed – can she gain any power. She takes at face value that women must learn to pleasure men, and she’ll offer her body with complete obedience and submissive grace to her husband, no matter what he demands of her. She even nurtures a romantic ideal that if she’s beautiful and perfect, then she will have a happy marriage. We all know how that kind of thinking works out. This story is not a romance. The beastly husband doesn’t turn out to be a wonderful man beneath. This is entirely Jenna’s story, and how she discovers that how she’s been raised and what she’s been taught is only one lens on the world. And that there’s more out there beyond the Empire of Dasnaria. Sunday at the popular Word Whores blog. 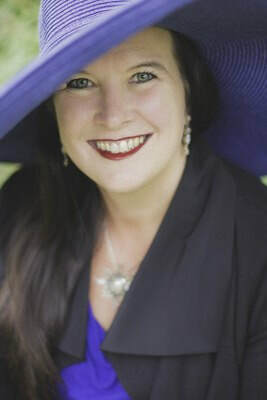 Check Out Mystery/Thriller: Stolen Obsession by Marlene M. Bell – Excerpt, Guest Post and Giveaway Inside! Thriller New Release: The Found Child by Jo Crow – Excerpt and Giveaway Included! !